Send your belongings to and from Ohio State University with My Baggage! 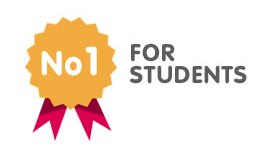 My Baggage is the No.1 student shipping company for Ohio State University. We provide fast, reliable and affordable luggage shipping services for students; complete with easy online booking, a door-to-door collection and delivery service with full online tracking. We help over 30,000 students ship their luggage to and from college every single semester. 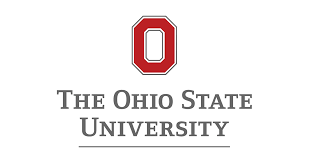 Ohio State University is a large, primarily residential, public university located in Columbus, Ohio. If you’re a big fan of college football, you’ll probably already know all there is to know about Ohio State. The ‘O-H! I-O!’ chant is arguably one of the most popular traditions in Columbus, Ohio. It is chanted at every football game and other exciting, major events to show unabashed OSU pride. As well, The Ohio State-Michigan football game is arguably the greatest rivalry in college athletics. This annual event was actually rated No. 1 on a list of the 10 Greatest Rivalries in Sports by ESPN in 1999. Sending Luggage To Ohio State University – How Does It Work? Getting all of your personal belongings to college is not only stressful, but it can be a pretty expensive process, too. Thankfully, My Baggage introduces the most cost-effective way to transport your luggage to and from your new home at Ohio State. Our online website and booking system are easy to navigate and only takes a few short moments to complete. You can obtain an instant quote straight from the homepage of our website. Once you’ve made your booking, we’ll take care of the rest. We’ll send you some labels to print and attach to your item, then we’ll collect it and deliver it straight to where it needs to go. Please note that if you are living in dorms on the Ohio State University campus, items will be collected from and delivered to the main reception area or designated postal room. However, we do recommend that you check this with your college before booking. Convenient door to door delivery service. Once you’ve placed your My Baggage booking, you will be given access to full online tracking, allowing you to monitor the progress of your shipment every single step of the way. As well, you’ll be kept up to date with our handy SMS and email notifications. If you happen to have any questions or concerns along the way, our dedicated customer support team will always be ready and willing to help. They are the experts when it comes to transporting luggage, and will be able to provide that extra peace of mind when you need it. Please don’t hesitate to contact us directly if you need anything. 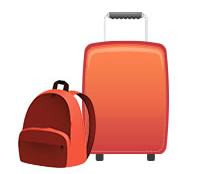 At My Baggage, we understand that no student wants to be without their personal belongings for any long period of time. That’s why we offer super fast shipping times to and from Ohio State University. Your luggage should be with you within just 3 working days. We also offer an express service for both domestic and international shipments. Get a quote to view the estimated transit times for your shipment. My Baggage offers international student shipping to over 200 countries worldwide, so if you’re an international student at Ohio State University, we can give you a helping hand with your luggage! We offer fast transit times and low costs on items sent overseas.